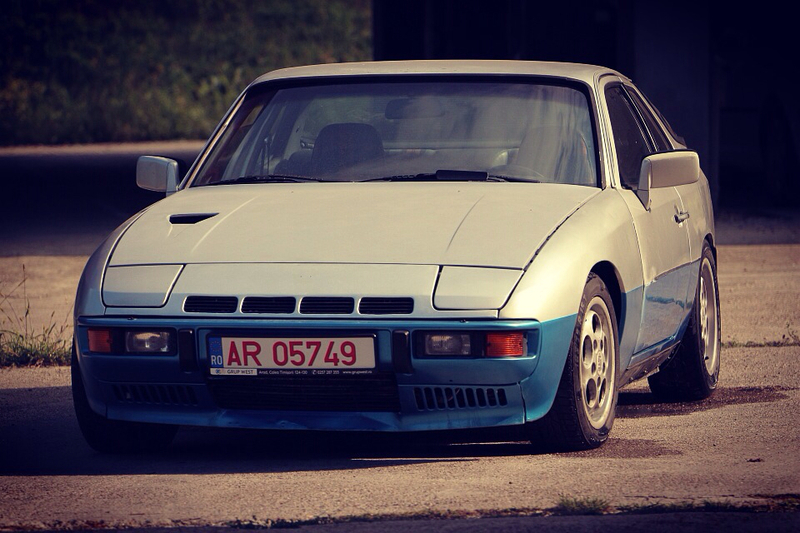 924Board.org :: View topic - Off to Bonneville with the 924! Posted: Mon Sep 05, 2016 11:16 pm Post subject: Off to Bonneville with the 924! Just a quick note to thank everyone on this board for their input to my many questions over the past two years of the 924 Land Speed car build. We leave Wednesday for Utah and (hopefully) come back with the G/CPRO class record. P.S. If I could figure out how, I'd post a photo of the finished car! Super simple, no registration needed, upload the pic, then copy the link to here. Regrettably my Swedish is non extistent, so that site won't do The car is a 1979 powered by a two liter NA that we reworked pretty significantly. It has a modified Turbo head with larger valves, forged connecting rods, custom pistons, two 50 mm Webbers, a custom exhaust header, is dry sumped and has a (no distributor) electronic ignition system. It has a compression ration of 15:1. The transaxle ratios has been altered to create increasingly smaller RPM drop offs off between gears as the speed increases (and air resistance increases). As an example, the 2 to 3 shift drops off ~1,500 RPM's while 4 to 5 shift loses only about 900 RPM's (we're shifting at 8,200 RPMs.) We're hoping for 160 MPH, but would be happy with 150! Thanks for the wishes for a great running car! Unfortunately while we beat the existing G/CPRO world record with a 140.19 MPH pass, the car developed a severe ignition gremlin on the requured back up run the next mornng and could only achieve 122.5. That meant we had to start over and try to repeat the first run. Regrettably we couldn't find the cause and had to throw in the towel and go home. The ignition box is now at the manufacturer to sort out the gremlin. Assuming it gets back in time, we'll make a run at the ECTA one mile record in two weeks. But Bonneville will have to wait until 2017! Great job for the 's first shakedown. I'm sure you'll get it sorted. Bummer, but you've shown you can do it!! To bad, but you sure got some serious speed in that car. This thread desperately need pictures on your build!! If you want help, drag and drop some pictures in my Google Drive folder and ill put them in this thread..